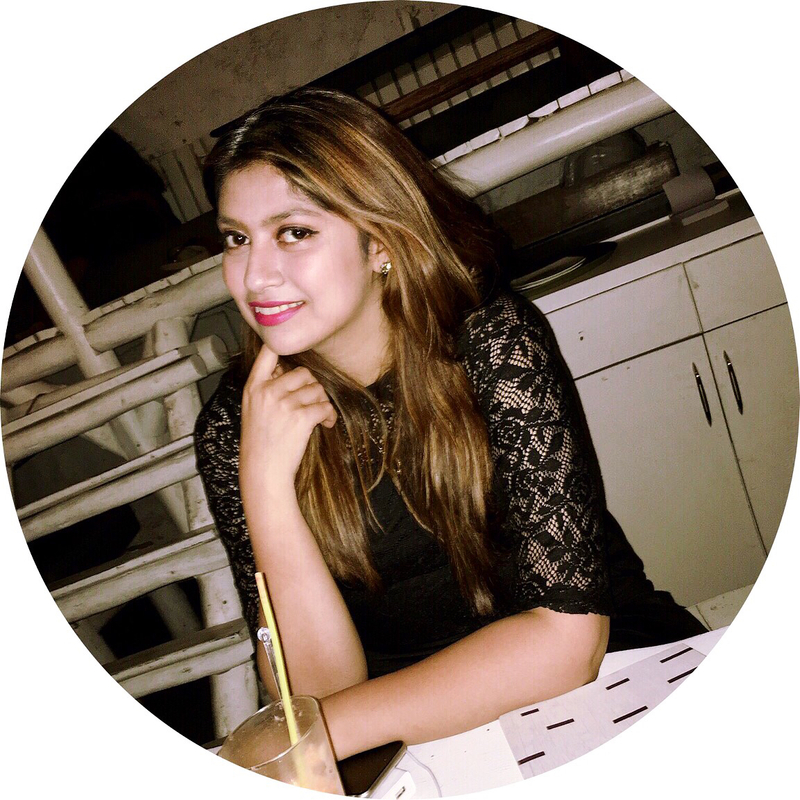 Woman Of The Hour: Devita Saraf On What It Takes To Be A Woman In Business! VU Televisions, a leading player in the display and tech space recently launched a breakthrough software technology that would change the way our generation watches tv all together. 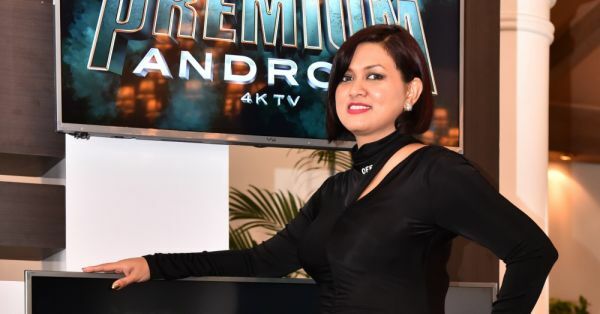 We caught up with the CEO, Devita Saraf, educated at Harvard and USC, who is the brain and brawn behind VU Televisions, to take us through this launch and give us an insight into what it is like being a frontrunner and a woman in business. Shall we first go through the basics? Could you tell us a little more about your business journey that started with VU, more than a decade ago? I started this company 13 years ago, straight out of college. I studied in California and when I came back and decided to explore a vocation professionally, I realised that the tech business was very male dominated and it barely catered to women. I started out to bring luxury to the tech space. Make it more about senses, experiences, design, aesthetics and more features, that is when I decided this was the space I wanted to be in and I started the company. Now, let’s talk about the woman behind the business. Tell us a little bit about your interests? While I love running a business I am also a girl’s girl. My passion lies in luxury, art, fashion, pop culture. These interests are infused in my life and also somewhere in my products I guess! I start my morning with a workout. Then, I decide what to wear, which honestly is the favourite part of the day for me. I have a severely long commute to work, I basically travel from south Bombay to the suburbs *we can hear the collective sound of Mumbaikars groaning at this statement* but I take that time to catch up on my music and emails as well. The rest of the day in the office is spent in high-level meetings, talking about development, discussing customers or even talking to customers. In the evening I would opt to meet up with friends or attend events to get to know the happenings in and around the city and absorb as much information as I can. Sounds like quite a day! Do you get any time to travel at all? Oh yes, I travel a lot. For work and otherwise, I really do love to explore different cultures and places. Coming up I have a long haul trip planned from China-Hong Kong-Seoul-Bali and then I am coming back home. There is a lot of travel in my life for sure. Being with people actually energises me. So I love hanging out with friends or just going out for dinner or over to a lounge. That’s the best way for me to unwind, by hanging out with the people I love. I also love to dance, I have been trained in classical dance and other dance forms, so that’s another way for me to unwind. What do you do in your free time (if you get any)? I am all about self-exploration. I spend all day in a white collar tech world, with a lot of tech talk. So when I come home, I turn that part of it off and get to reading fashion and culture blogs. So basically I switch from the right side of my brain to the left. Is there something that you would like to tell young women entrepreneurs who are just taking off or are running their business as a fellow woman in business? I feel like when women enter the business world, they sort of lose the essence, the sense of being a woman because of the latent male dominance there is, in any business space. Women should definitely stay true to themselves and let who they truly are, reflect not just in the way they run their business but should also show through their product. Also, if women are running a business, they should be the face of that business. With the back end, they should handle the front end as well. Being a BIG part of every aspect of your business is how you ensure success. I mean it has been an uphill climb but the fact that my business closed at a whopping 1000 cr as of the last financial year is proof alone that women can do anything and achieve so much when they are confident in their own skill and expertise. Congratulations on that! Where do you see VU Televisions going from here? VU televisions the leader in the 4k technology space. We decided to make our own proprietary technology, called the ‘VU VOD Upscaler Technology’. What it does is that it gives you a much better output of audio and video while you are streaming live tv or watching VOD (video on demand) or OTT content like Netflix, Amazon Prime and others. With the hardware, we have also worked hard on our software aspect to give the consumers the best viewing experience. I have also always been a 100% owner in the company and have never wanted an investor, but we have learnt recently that you should never say never. I would like to explore foreign markets and take our technology out there as well, so that’s the plan. Well, with that parting note, Devita Saraf signed off as a triumphant woman in business, growing and breaching boundaries all day every day. 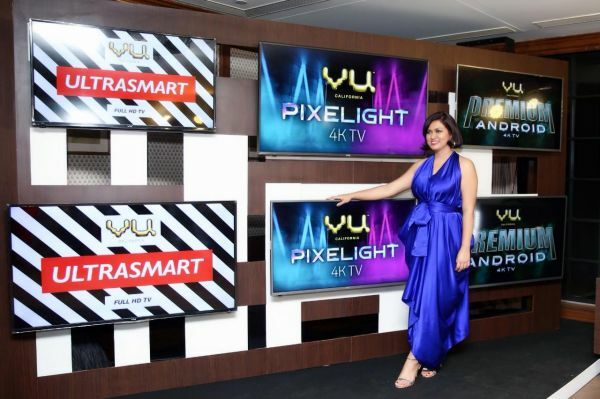 The VU VOD Upscaler Technology will now be available on three new television ranges – the Vu UltraSmart TV, the Vu Pixelight 4K TV NG and the Vu PremiumAndroid 4K TV.